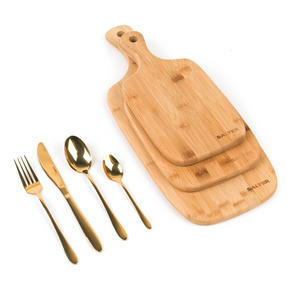 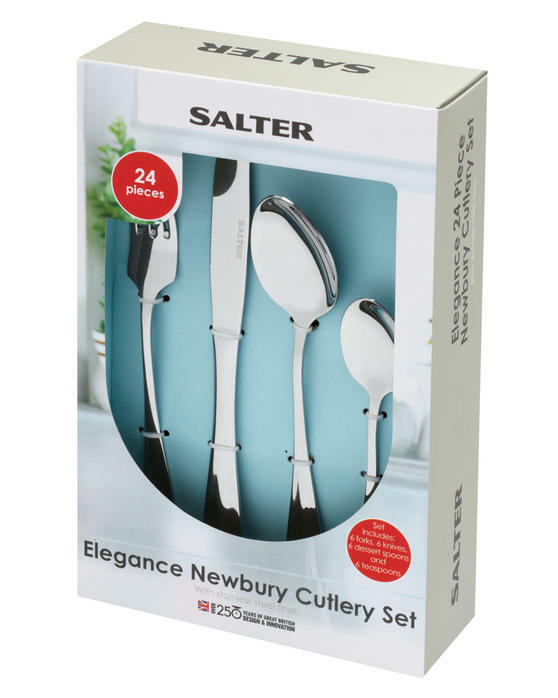 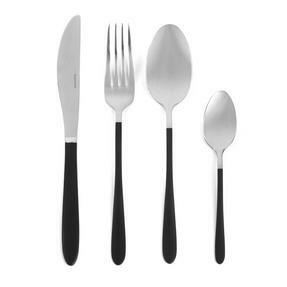 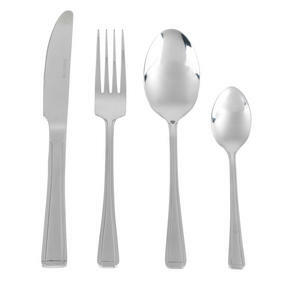 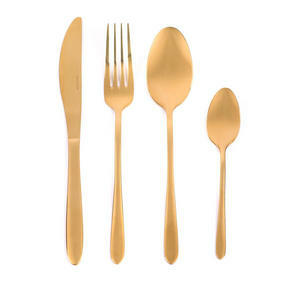 Dine in style with this deluxe Salter Elegance Newbury cutlery. 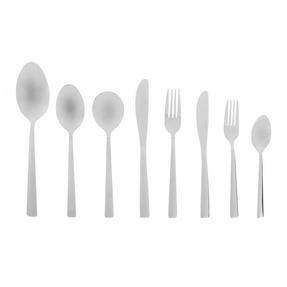 Ideal as a starter set or for refreshing your dinnerware, this 24 piece set contains 6 knives, 6 forks, 6 tablespoons and 6 teaspoons made with polished stainless steel which is guaranteed to impress your guests. 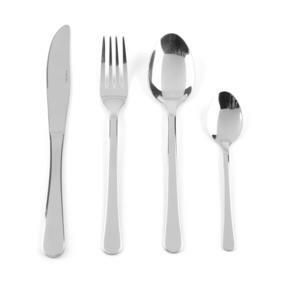 Although this set is dishwasher safe, it is recommended you hand wash in warm soapy water without abrasive cleaners in order to maintain the high shine finish.